good dammit, they found my Hidout.... Gobby, Beast and Cap Am take care of them!!! 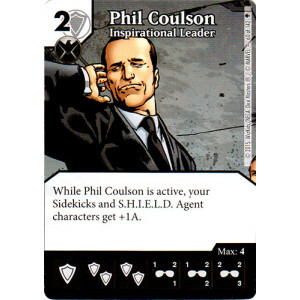 "This is Phil Coulson! This operation is now under SHIELDs control. We take care of the rest! We took your brawling guys in custody. Agents secure the area!" So at first i wanted to go with Human Torch and some Powerbolts,but it can easily used against you if the enemy has enough Energy to buy it. So right now i am not sure if this team is any good, win condition would be Martian Manhunter and Punisher to attack while Jade Giant and Human Paladin try to defend them against any evil beeings. And for the Ramp and start i have Zatanna, Beast and Storm to ramp a little bit and remove annoying stuff. Last edited by Ressless; 09-04-2015 at 11:24 AM. I appreciate all of the characters you picked, they are all good characters, however, how many do you need to buy to win the game? As limited as little cup is, it is still possible to build teams that don't need to buy one of everything to get their win off. Wolverine, Ultron drone and overcrush can win you the game with just a few purchases, for example. Perhaps look for ways to refine your win condition to 3 cards, and look to plan for that directly. Then fill in the rest of those spots with cards that can protect or facilitate that win condition, ideally without needing to be purchased outright. I try to think about it, but most thinks are really cost heavy and without a PXG it is really cost heavy, but i dont wanna bring him to the party. I would stay with my Martian and Punisher because they bring what i need to win like overcrush or KO / 2 Life as payment. I think i would let Human Paladin in, even when i know there so less things with "when fielded" in there but his ability to prevent globals on my characters i really like. I guess for bolts would be a Red Tornado good instead of a Beast. 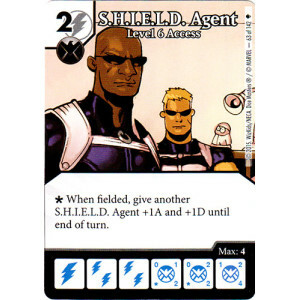 If your plan is to go Manhunter and Punisher, maybe think about some action dice or character abilities that let you use bolts to win. For example magic Missile or Slipher. Wasp common is also a good choice, and allows you to use any energy to pick off side kicks before you swing with manhunter or Punisher. Perhaps look at force attack globals, to force the big walls your opponent brings to attack you for 1-3 damage, while you trade back with Punisher and manhunter for 4-6 damage. And lastly, with all of these bolt globals, perhaps look into ice man 2cool4words. He can fix your energy pretty well, and encintivizes you to wall with your sidekicks so you can convert that wall to a big removal effect with magic Missile. Last edited by Ressless; 08-16-2015 at 06:07 PM. Last edited by Ressless; 08-16-2015 at 05:54 PM. I tested my team against Necromanticers Little Cup Team. A really interesting one with Green Lantern on it. Also some Other cards to help him and a big Blue Dragon that scared me the whole game, even when i realised i had Sidekicks with +2A/+2D. Beforehand to say, i rolled the first 4 turns only 2 Sidekicks and 1 Goblin and nothing else, it was more struggle of time and luck, but i think thats it always when you dont get what you need. So what did worked with my Team? This is a really amazing and safe wall if you ask me. Save me half of the game just to have 1 Goblin around and some SDKs. There was a Mr. fantastic and a Beast too but they were on lvl 1 and only for blocking things. Man this ramp is good, even my opponent used it. It was the only global ramp we had and i think it is better this way than Resurrection, because i need my shields for characters and other globals. Every turn i had a Shield for free or a wield it was really good to attack and see if something comes through. Then steal there Attack and deal some nasty medium damage. Storm: Even when i was scared to give my enemy such big ramps, when she attacked i did it. 2 Times he was rolling 8 or 9 Dice because of that but the third time i attacked with 3 characters and he rolled only 1 character face of 8 or so. So she will be my starting disturbance or finisher. So what didnt work and what have i done wrong? I would loved to see flying sidekicks all around but i never had the energy to buy Angel to make them +1/+1 Stronger. Also it was not this 1 damage to win for me, it was Transfer Power and Storm. I had several rounds a beast lvl 1 Outside and i didnt used it.... . Cursing myself!!!! Also i bought Punisher late, because there was a stalemate and 2 growing walls to clutch against each other. He would have helped me in the middle of the game even more. next time next time! Spiderman same goes for you as for punisher! Am i scared about something? Sure, theres this Giant Man and combined with Polymorph and Spider Man Webslinger i think he is by far the strongest combination i can think about. But i hope my small Guys will hold them off. and changing BAC TP to mystic Box. Ok After i tested it a little bit further with some different cards. I am now sure what cards to use. Resurrection goes good in my deck. I have my Mask characters for the case PXG or something else is there with a global. Captain America is really helping me and Mystic Box helps even more. When Spiderman is out early it is just, attack with SDK , grab any attack value higher than 1 and deal damage. Next round maybe another Spidy. It is Fun. Punisher and Namor are my around the Wall Players that can also deal damage just for attacking. Next and Last Update will be after the Tournament to see how it went.